Geneva Ann Weaver, age 89, of Leoma, TN passed away Tuesday, April 09, 2019 at NHC Healthcare of Lawrenceburg. 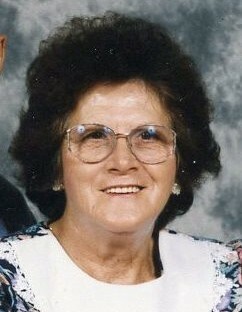 She was a native of Lauderdale County, AL, a homemaker, and attended New Prospect Baptist Church. She was preceded in death by her parents Clarence and Vaudie Lee Eddie Pettus; her husband, J. C. Weaver; and one daughter, Joan Ann Dial. Surviving are son, Danny Weaver (Bobbie) of Lawrenceburg, TN; daughter, Renee Kotlarsic (John) of Lawrenceburg, TN; brother, Glenn Pettus of Sheffield, AL; 3 grandchildren; and 3 great-grandchildren. Arrangements are being handled by Neal Funeral Home, 231 N. Military Avenue, Lawrenceburg, Tennessee. The family will receive friends from 5:00 PM to 8:00 PM Thursday, April 11, 2019 at Neal Funeral Home. Funeral services will be conducted at Neal Funeral Home at 11:00 AM Friday, April 12, 2019, with Arnold Brown officiating. Interment will follow at OK Cemetery in Lawrence County, TN.